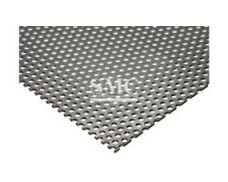 6) Product materials: SUS304, SUS316, SUS430, SUS439, etc. PVD coating means Physical Vapor Deposition of Titanium or Zirconium, can also be called Titanium/Zirconium-plating. It provides a colored film over the stainless steel substrate in a vacuum chamber. 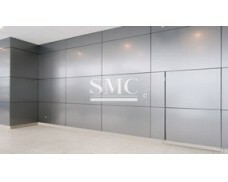 The colored film could last long time without fading under normal interior or exterior environment. 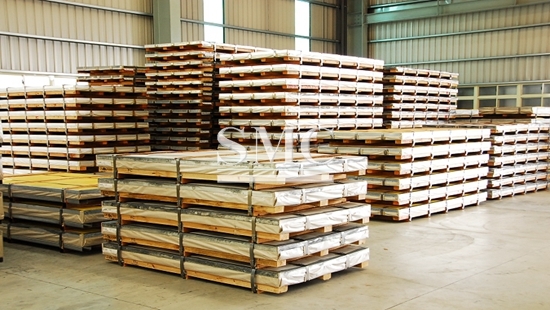 Metal or alloy is vaporized from a solid(Cathode)by means of electric arc to form a plasma vapor, the resulting highly charged metal lons from the plasma are then mixed with inerted gas such as argon gas. 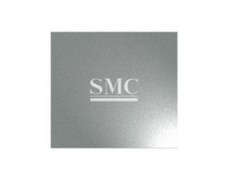 The positively charged plasma is attracted to the negatively charged stainless steel sheets, producing a colored metallic film on the sheets. Color does net fade or oxidize as do the red metals such as copper and brass. By altering the temperature, mix of gasses and elements that form the plasma, Top Honest has developed a broad range of coatings colors. (A). Will not tarnish, oxidize, or discolor in harsh sun, salt, humidity and city environments. (B). Impervious to extended exposure to UV light with no flaking, cracking or discoloration. (C). 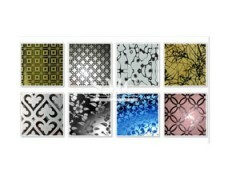 Available in a wide range of colors, surface patterns and finishes. Gold, Brass, Rose Gold, Silver, Smoke grey, Black, Copper, Bronze, Blue, Purple, Brown, Wine Red, etc. 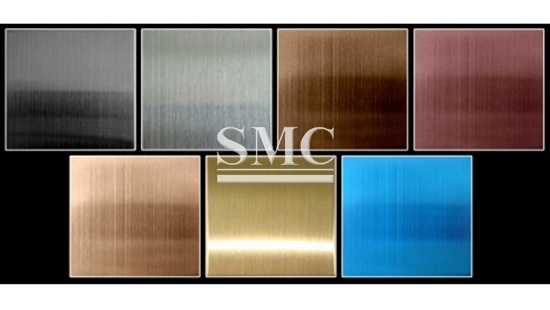 Coloured stainless steel is of non-toxic, good corrosion resistance, good abrasion resistance, etc. With different illumination angle, color and luster can produce changeable color effect. Coloured coating can maintain its original property at minus 200 degrees centigrade. 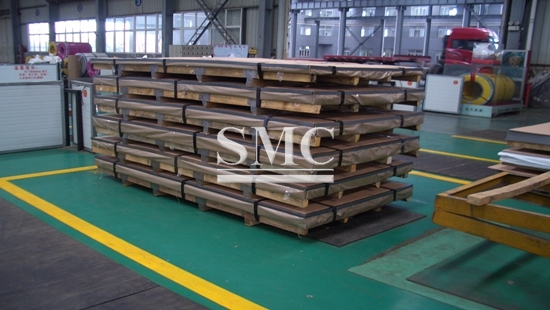 Meanwhile, its salt spray corrosion resistance is better than normal stainless steel. 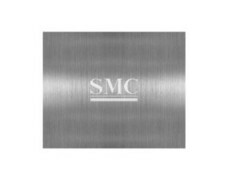 Stainless steel sheets are mainly used for decorative interior and exterior wall panels, ceilings, doors, windows, columns, staircase handrails, elevator and roof tiles of ancient architecture. 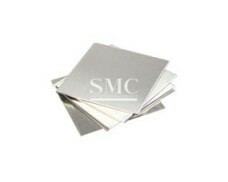 Additionally, it also can be used to manufacture anti-corrosion equipment, plaques, advertising wall, boards, decorative patterns, instrument panels and all types of vehicles decorated boards.